The Wicklow Open Championship was won by Siobhan Scarlett of DURC. Siobhan stormed into an early lead with a string of inner tens and continued scoring tens throughout the final with her only nine coming on her last shot when she had the final sewn up with an unassailable lead of over four points. Siobhan's final score of 250.7 is a new record for the twenty-four shot final, beating the previous record of 250.4 set by Conor McDermottroe. In second place was Ray Kane of the Defence Forces followed by Conor McDermottroe in third. 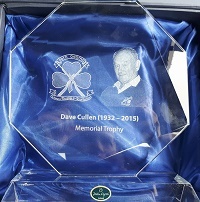 The inaugural Dave Cullen Memorial Trophy was won by Conor McDermottroe of DURC. 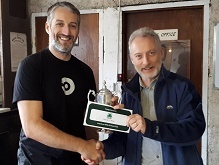 In winning the trophy, Conor broke a number of records including his own record of 627.7 for a qualification round set in the last competition. He also scored 48 inner tens, breaking the previous record of 47 that was set by Gary Duff of Comber in 2012. His integer score in the qualification round of 598 also broke the previous record of 597 set by Gary Duff in 2010. Siobhan Scarlett of DURC came second and Ray Reilly of RRPC came third. The Autumn Open was won by Conor McDermottroe of DURC with a final score of 249.6. His qualification score of 627.7 broke his previous record of 626.5 set in February 2014. Conor was neck and neck with Siobhan Scarlett of DURC throughout the final; tied after the first five shot series, 0.8 behind on the second, tied again after the third series and fourth series, 0.2 behind after the sixth and only after the seventh series was he able to get ahead. Terry Wearen of the Defence Forces came third after a battle with Ray Reilly who eventually finished fourth. 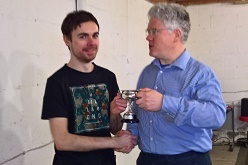 The Spring Special was won by Conor McDermottroe of DURC with a final score of 244.0. Conor had a bad start with an eight in his first series and had a battle on his hands to catch Stephen Murphy of DURC and Peter Daynes of RRPC. He eventually took the lead on the 19th shot of the final and held the lead from there. Siobhan Scarlett of DURC came second after overtaking Stephen on the 21st shot of the 24 shot final. Thanks to everyone who turned up on the day. A special thanks to Greg Hogg from Downshire Rifle Club who travelled two and a half hours to be here. That's dedication! Our next competition is the April Open on 2nd April. We look forward to seeing everyone there. The inaugural April Open was won by Stephen Murphy of DURC with a final score and new record of 248.0. Stephen started well, but was overtaken by Siobhan Scarlett in the second series and stayed in second place until the penultimate series when he took a narrow lead of just 0.2. He consolidated that lead in the final series to take the championship by 0.7. Ray Reilly of Rathdrum came third, holding off a strong challenge from Terry Wearen of the Defence Forces. The standard was extremely high, with a qualification score of over 607 being required to make the final. Thanks to everyone who turned up on the day. A special thanks again to Greg Hogg from Downshire Rifle Club who again made the long trip to be here and compete. Our next competition has yet to be decided as there are conflicting events on the international calendar. 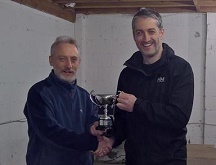 The February Open was won by Conor McDermottroe of DURC after leading the new format 24 shot final from start to finish and recordng the first record score for the event of 250.4. Ciara Deevy of DURC finished in 2nd place and Ray Kane of the Defence Forces Shooting Team finished in 3rd. As per the new rules, music was played throughout the match and final courtesy of Siobhan Scarlett. All three details were booked out completely which was very encouraging. Thank you to everyone who turned up on the day, it was great to have such enthusiastic support. The next prone rifle competition is on Sunday March 12th. Due to short notice, there was a low turnout for this competition. The ongoing problems with the website coupled with the need to complete work on the range gave us very little time to organise entries etc. Thanks to those who still managed to turn up despite these factors. Conor McDermottroe finished first after a start that saw Liam Kinsella take the initial lead with an excellent 31.9 but Conor then took the lead and didn't relinquish it for the rest of the final. Siobhan Scarlett came second with Ciara Deevy taking third place.